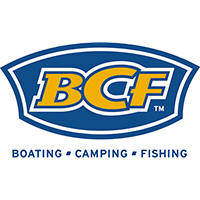 With 115 stores located across every state of mainland Australia, BCF continues to be the largest outdoor retailer in the country. Redeemable at participating BCF stores within the country of purchase. BCF disclaims any responsibility for lost or stolen cards. VISA & MasterCard payments only. BCF eGift cards are non-refundable or transferable. Location and participating outlets are subject to change at any time. Please click on the book button below to order an eGift Card.